My wonderful Everland Theme Park trip in Seoul! - MisTan IzZy | Travel & Lifestyle. Seeing how much fun that RunningMan having in Everland Theme Park, I have always wanted to visiti it but I never really get a chance to do so, shame to say, even after 4 times to Seoul LOL. We're lucky enough to visit at the right time with less visitors. Well, that really matters a lot where you will skip the usual Long Queue! Everland is a theme park at the Everland Resort in Yongin, a city in Gyeonggi-do province, South Korea. 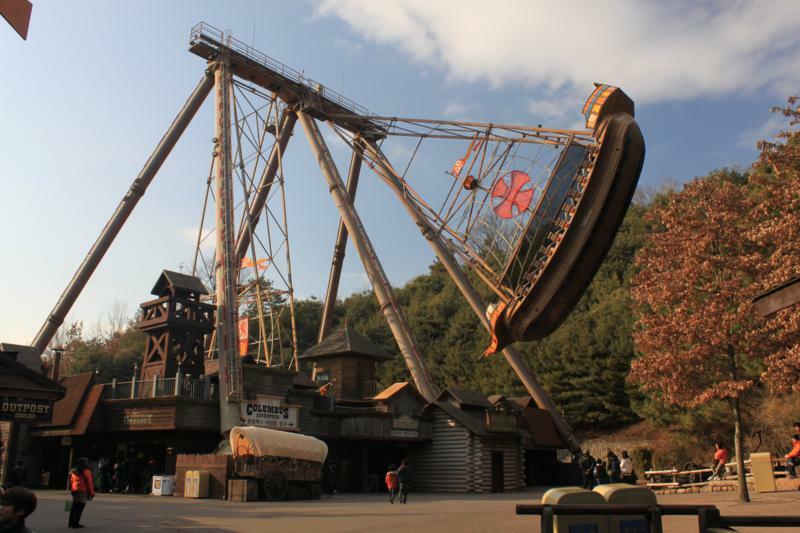 Being the largest theme park in South Korea, with 7.3 million visitors, Everland ranked 16th in the world for amusement park attendance in 2014. The first site after entering from entrance, Global Fair is primarily a place for food, souvenirs and pictures as visitors make their way into and out of the park. There are 3 attractions for VR adventure, Live Hologram Theater & Pororo 3D adventure. Thought I wouldn't enjoy much on this zone, but I was totally wrong! I enjoy the most in Zootoopia. Upon entering the Safari World with bus ride, there were so many Tigers & Lions, even Bears! Next, the Lost Valley, where you get to see more friendly animals such as Giraffe, Zebra, Horse etc. With Zero distance, you'll see a giraffe being fed from our bus! 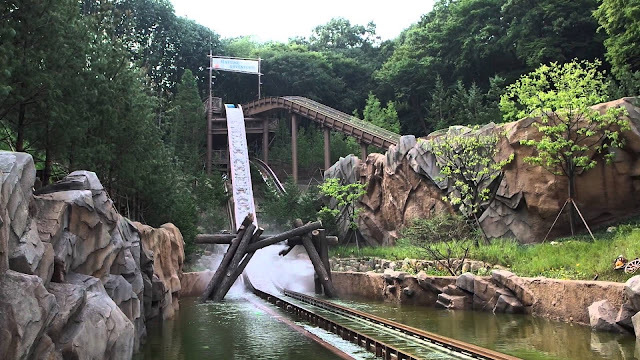 One of the most exciting ride in Everland Theme Park was here in European Adventure - T Express, a wooden roller coaster. T Express is one of the most popular ride in Everland, makes it the longest queue to take a ride, I heard from my Korean friend that he queued up 3 (THREE) hours just for 1 (ONE) ride O-M-G! However, there's one way to skip the long queue by purchasing Q-PASS. Imagine when you need to queue 3 hours for one ride, I'm not sure how much time you left for other attractions! There are 4 different Q Pass available for all 4 popular rides in Everland. Moving forward, here in Magic Land, there's another popular ride named "Thunder Fall". Be prepare to get a little wet :) A little tips, lower the chance of getting wet by sitting behind. Want more excitement? Well in this zone, you'll find Double Rock Spin, Let’s Twist, Hurricane, Championship Rodeo, Columbus Adventure etc. It seems like the local Koreans love this water splash event, they even prepare raincoat and water gun for it! Too bad, we weren't much into it, hence we runaway from this event LOL. 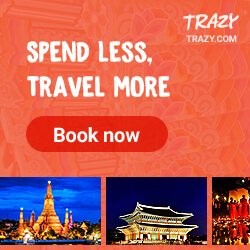 Planning for your next trip to Seoul? 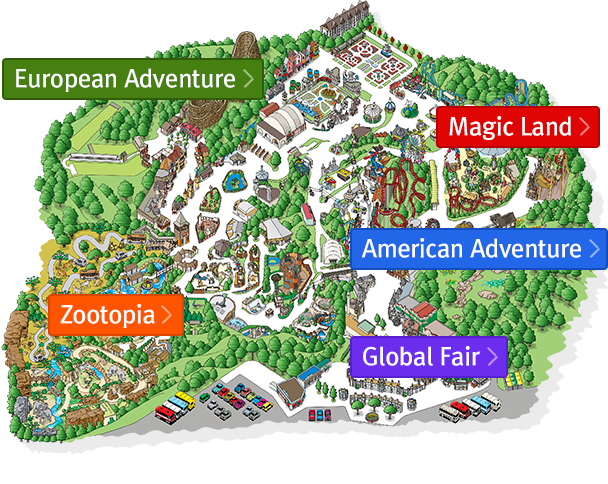 I strongly recommend you to add Everland Theme Park in your itinerary :) Check out the best deal here with FunKo! alw wanna go korea!! whats more the theme park !! thanks for sharing this dear ! THanks for sharing! i think i will add Everland Theme Park in my itinerary next time! wow....fun trip!!! 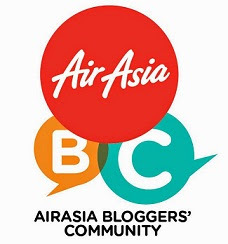 I can refer your blog!! I will travel to korea soon! !